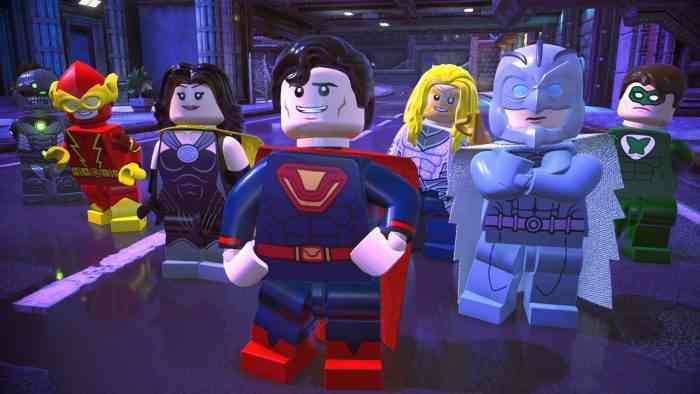 LEGO DC Super-Villains is getting two Aquaman movie DLC packs starting next month, Warner Bros. Interactive Entertainment has announced today. The two downloadable packs adds new content and characters to the game based on the upcoming Aquaman movie releasing in theatres on December 21st. Season Pass holders can begin downloading Aquaman Movie Part 1 on December 4th, 2018 and Part 2 on January 8th, 2019. For non-Season Pass holders, they will be bundled together on January 8th for $5. The Season Pass is included in the game’s Deluxe Edition or can be purchased standalone digitally. The DLC packs will allow players to control Aquaman and Mera in the underwater kingdom of Atlantis. Players “ead their people against Aquaman’s brother, Orm, who seeks to unite the seven kingdoms against the surface world.” Both packs add even more characters to the game’s huge playable roster. Movie Part 1 adds the following characters: Aquaman (Gladiator), Black Manta (Movie), Mera, Orm (Gladiator), King Nereus and Queen Atlanna. The second pack adds Aquaman (Movie), Vulko, Trench Creature, Murk, Brine King and Orm (Movie). LEGO DC Super-Villains is available now on PS4, Xbox One, Nintendo Switch, and Windows PC.